Finishing — Historical Arts & Casting, Inc.
A third level of cleaning is performed on all castings and fabricated parts which includes careful sandblasting using the most appropriate non-destructive aggregate. 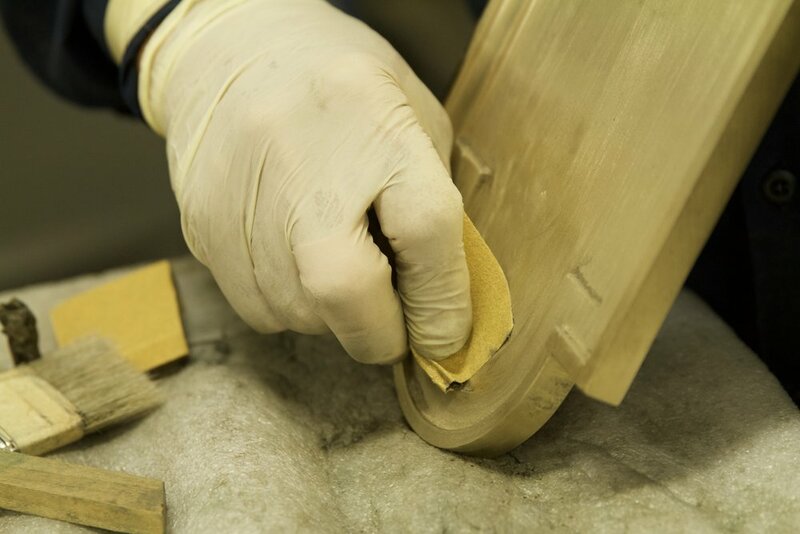 Any flaws which were previously undetected are found at this point and corrected before the final finishing is begun. Because metals react differently to various treatments, each finish-craftsman has come to know the various processes needed to achieve the desired finish, color and texture for any project. This is often referred to as the patination process. Different finishes include painted faux finishes, graining, polished or natural chemical patinas. Historical Arts & Casting can accurately match any existing finish or develop any desired variation of standard finishes. Our finish-craftsmen are also experienced in providing gold and silver leaf.